So its been a long while with activity on this website. I’d planned on keeping up my torrid pace by posting football cards during the baseball off-season but I quickly found that my love for football pales in comparison for my love of baseball. I lost interest quickly. February brings a couple things baseball back; pitcher and catchers report to spring training to officially get things started and Topps releases their new line of baseball cards. 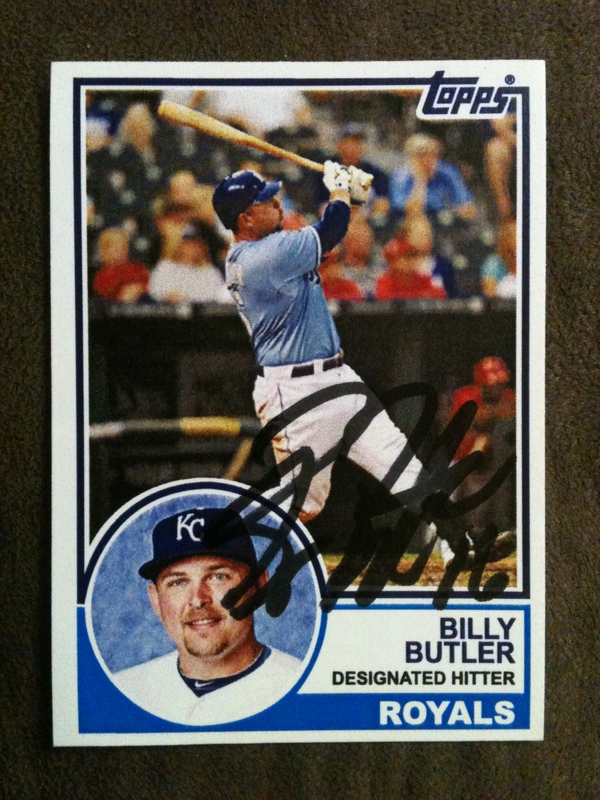 With 2012 Topps the Royals got 11 base set players included so it was a little fodder to get me pumped up for the season. The design gets low grades from me. It isn’t horrible but I don’t have a lot to say about it that is good. It is bare-bones Topps. A lot of room for picture is always nice but it is straight out boring other than that. 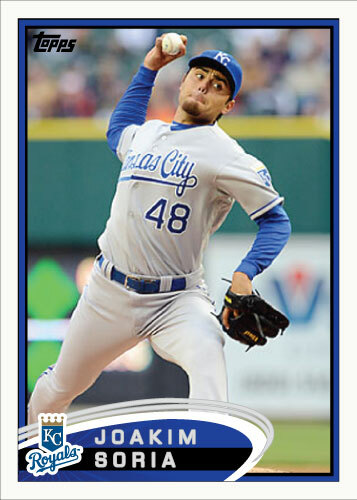 Topps cards almost always grow on me so in July I may rave about the 2012 set, I don’t know yet. Since Joakim Soria was once again not included in the series 1 set it gave me an opportunity to make my card first again, like last year.